What does hitting a little white ball into a tiny hole in the ground hundreds of yards away tell you about human resource issues? If you’re struggling with whether to hire the go-getter graduate or the downsized adult, you want solid advice, which is why you’ll be surprised by how much golf can tell you about overcoming the fear of hiring new employees. While it may be a cliché to say that golf has taught me everything I know about hiring the best employees, it’s not completely inaccurate. In fact, I can learn valuable business lessons from everything I do. That’s because I’m always thinking about business. However, if all I did was play golf all day every day, I might be happy and healthy, but I could never learn anything about why hiring employees is hard. Even if I played 18 holes with a CEO, an executive manager and an HR department head, I wouldn’t know how to end the struggle of hiring new employees. So let me qualify what I mean when I say that golf has taught me everything I know about how to hire new employees. Golf acts as a metaphor for business, but that knowledge is only valuable to an executive who is well grounded in business sense. If you are an experienced manager, you will find this metaphor useful. Otherwise, take a mulligan and go back to business school. It’s my experience as a recruiter that makes this advice valuable, not the slice in my drives — which, by the way, I’ve learned to compensate for. So sit back, relax and learn how this apparently harmless diversion of a sport can teach you how to hire new employees. Your golf swing can teach you important lessons about overcoming the fear of hiring new employees. For example, if you try to remember the technical aspects of your swing — all those pesky little details you are supposed to do when you swing the club — you will become immobilized. 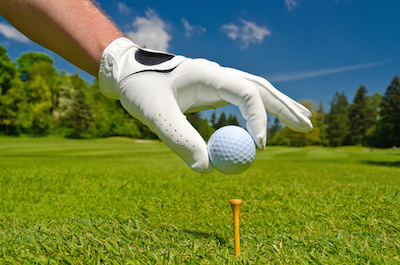 You can’t possibly concentrate on your hands, wrists, head and follow-through while golfing. If you try, you’ll likely hurt yourself, emotionally if not physically. You need to know the basics to play the game successfully — either with the help of a coach or through hours at the driving range. You need to get to the point where your swing is automatic. The same is true regarding how to hire new employees. If you think about everything you need to know when you attempt to hire the right employee, you’ll end up getting lost in the details. If you’ve got the experience of hiring new employees, rely on your instincts. Trust that you know what you need to do. But don’t hesitate to rely on your coach, i.e. your boss or human resource contact. They’re there to help your game. End the struggle of hiring new employees by doing whatever is legal and moral to get the job done. This doesn’t mean you should cheat (since cheating is definitely not moral), but if you find that perfect candidate, do whatever it takes to land him, short of bribery. Use your strengths to appeal to the candidate’s weaknesses. Anything less is a duff. The greatest fear of hiring new employees is making a mistake. This is why hiring good employees is hard. But sometimes the bigger mistake is not making a timely decision. You’re not going to shoot par every time out. Take your best shot and live with the lie of the ball. Unless you’re up a tree, you’ll be able to take another shot. You made your decision for good reasons; find the promise in your new hire to try to make it work. Meanwhile, examine your hiring strategy to help make better decisions in the future. I’m not recommending that you revamp your entire hiring strategy, but maybe change your search approach for one position to see if it helps. Little alterations can help your overall game. The goal in golf is to have a low handicap. The goal in business is to hire new employees to have a low turnover. In golf, every shot is important, but you take up to 40 percent of your shots with your putter. If you want to shave points off your handicap, concentrate on your short game. The same is true with your hiring process. 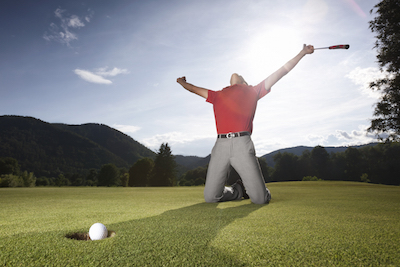 To improve your short game in the hiring process, perfect your close. Once you have the best candidate lined up, make sure you get a positive agreement. Nothing is less efficient than losing your first choice for an opening and having to regroup. Learn to make those putts. You use your driver on about 75 percent of the holes. You use your putter on every hole, unless you get lucky. Every other shot requires a choice: 5 wood or 3 iron? Over the bunker or around it? The trick with knowing how to hire good employees is choosing the right club, too. Using the right tactic or empowering the right team member for a given task can make all the difference. Just as each hole of a golf course might require a different approach, so too might each candidate. Make the right decision at the right time to improve your odds of success. In golf, before you swing, you pick the target you want to hit. Sometimes, it’s the green. Sometimes, it’s the middle of the fairway. Sometimes, it’s a point away from a bunker or water hazard. You have to know what you’re aiming for before you swing your club. It’s the same in business. Select the goal you want before you begin the hiring process. Knowing how to hire good employees to have a low turnover, means you have to know the qualities, characteristics and skills you’re looking for. You need more than a job description; you likely want to find an agreeable personality, a strong work ethic or even a good sense of humor. Write it down; aim for it. The idea of “soft hands” in golf is to relax the grip on your club. Too much tension produces inconsistent results. A soft grip ironically gives you the control you need to succeed shot after shot. A grip that’s too firm is also why hiring employees is hard. Manage your team and the interview process with soft hands to ease an already tense situation and increase cooperation in the workplace. Soft hands may do more to encourage a candidate to join your team, as well. Everyone can make a mistake, either on the green or in the interview room, but pros minimize the chance of mistakes by preparing in advance. Pros know the golf course backward and forward before the tournament begins. If you want to end the struggle of hiring new employees, you should be well prepared before the interview even starts. While there’s nothing wrong with playing the ball where it lies, as amateurs often do, a better strategy is to learn to put the ball where you want it. That’s what separates amateurs and professionals. Amateurs react; pros plan. Planning also eliminates the fear of hiring new employees. Captain’s Choice in golf refers to a team game in which the captain of a team of two or a team of four chooses which player (as in the Ryder Cup) or which shot (as in Best Ball) will play. In business, this means using your whole team. It means finding the strengths of each member of your team and letting each excel. You will lose your fear of hiring new employees and make better hiring decisions when you let your whole team participate. Playing with a full squad — whether it’s a foursome or a project team — is always playing Best Ball. You may not always win, but you always increase your chances. Golf has some strange and often complicated rules. For example, you can’t place anything beneath your feet when taking a shot, not even a towel. The cart path’s only rule requires golfers to keep their carts on the asphalt path regardless where their ball lies. It makes sense to protect the grass, but it often slows down the game. If your company has restrictive rules governing your hiring process, it might explain why hiring good employees is hard. I’m not suggesting you break the rules, but take your case to upper management. Like the cart paths only rules, they might have valid reasons for a rule, but explain that it’s making the hiring process longer than it needs to be. When I play golf, I have access to a putting green and a driving range. I can lengthen my drive, improve my chip shot and master my putts. When I get out on the golf course, those hours of practice pay off. In business, there’s no putting green or driving range, but you can still improve your team’s results by practicing. Set aside an hour out of your day for your team to interview you. Create the persona of an interviewee and then play it up: be difficult, elusive or unresponsive. If possible, videotape the mock interview so everyone has the opportunity to learn from it. Practice will help you hire new employees to have a low turnover. Your hiring process shouldn’t be written in stone. Do your research; develop a strategy, and implement it. See if it works. As you try different approaches, find the one that works best for you and your organization. If you find something that doesn’t work, take a mulligan and try something else. 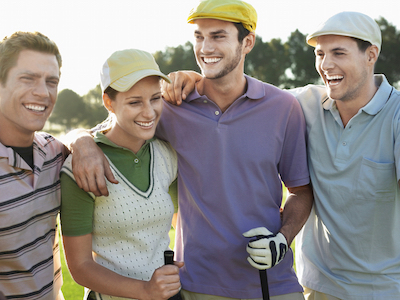 When it comes to hiring good employees, preparation is the best way to get a hole-in-one. And that’s how we hire employees around here. By the way, where’s your favorite place to play golf? Leave us a comment and let us know! 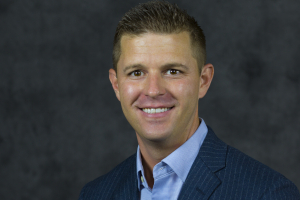 Justin began his career with Kimmel & Associates in 2008, first serving as an Associate and then as Market Leader. In 2018, he was promoted to Vice President, overseeing the Industrial & Energy Division for Kimmel & Associates.